Five ways to make it work in your home right now. At last, Pantone has released their annual color of the year and we gotta admit, 2019 is lookin’ bright. 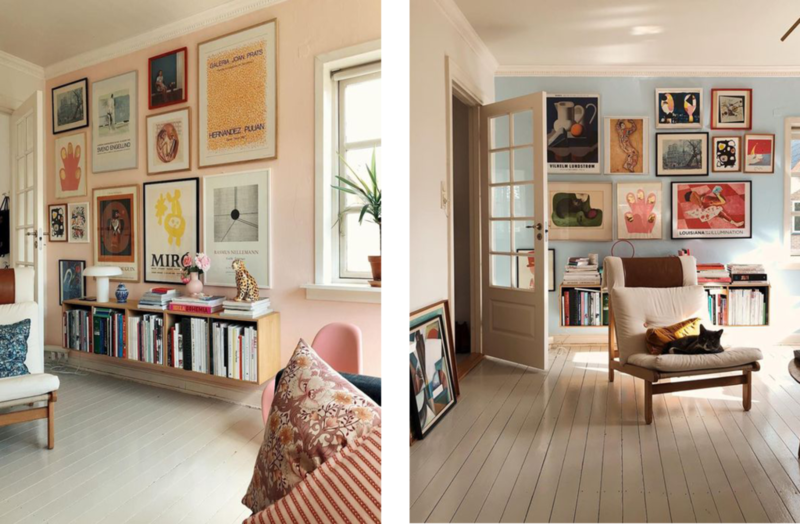 This year’s hue is Living Coral (PANTONE 16–1546) which is both vibrant and mellow, providing us with much-needed comfort and buoyancy in our continually shifting environment. We can all get down with that, right? Each year, we seek to integrate Pantone’s color of the year into our homes to keep up with the trend train. So, if you’re looking to uplift your abode in 2019, take a peek at our carefully curated ways to do so. No matter the design aesthetic of your living room, get funky by bringing in some bright, coral-dappled pillows to create an air of bohemian eclecticism. You know that boring guest room of yours? Pile the bed with some patterned pillows to give the space a bright boost. Thinking about sprucing up your kitchen banquette? 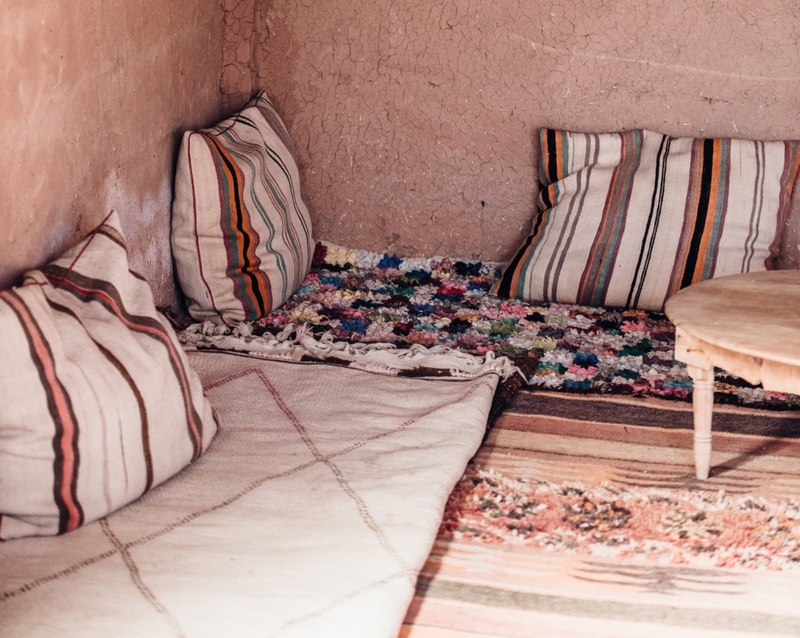 All that’s needed is a pop of orange from a few vintage Moroccan rug pillows. Paint can get boring. 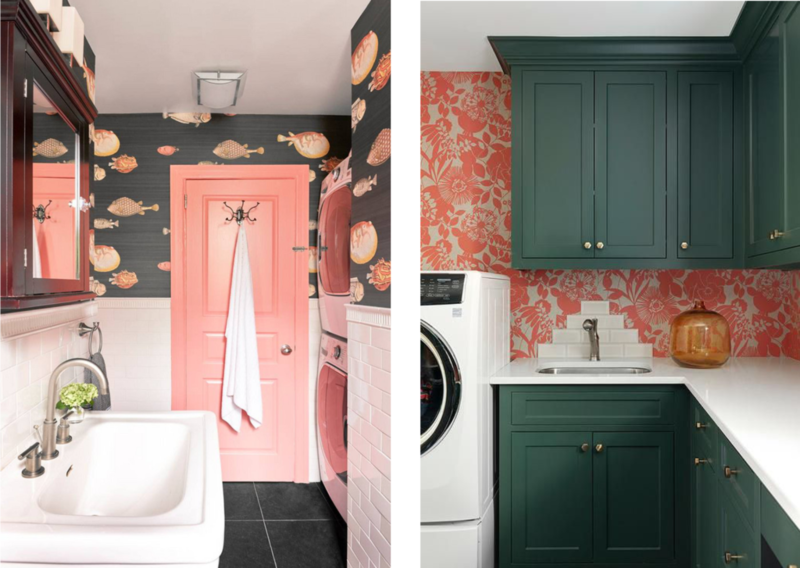 Bring your powder room to life with an epic coral-hued wallpaper. If you’re going to spend time in your laundry room, make it fun. Complement your blue-green cabinetry with a sweet orange wall design. Transform your kids’ bedroom into a vibrant fairytale with a wallpaper that’s feminine but not too overboard. If wallpaper isn’t your thing, go ahead and paint the town. 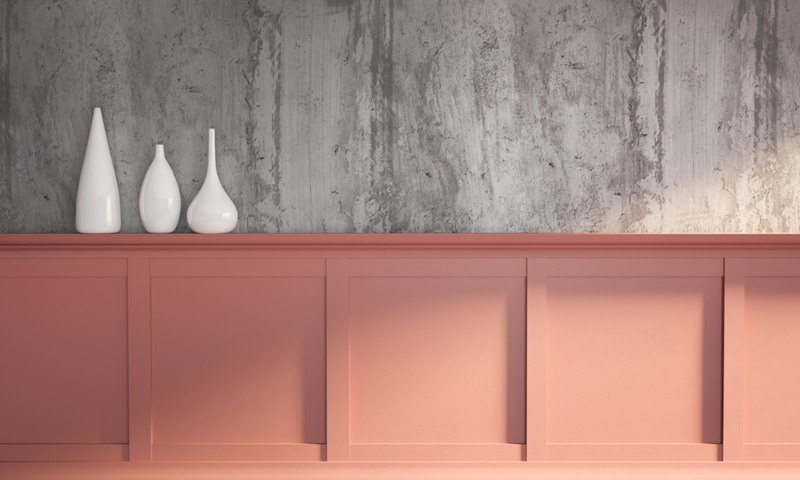 Revamp the wainscot paneling in your hallway with a soft yet energizing coral hue. Ever thought about trimming your window panes with something other than white? Branch out and bring your kitchen or bathroom windows to life. Living Coral is entirely reminiscent of a Harbour Island cottage, so go ahead and paint that front door of yours a bold yet natural coral tint. Everyday will feel like a beach retreat. You don’t need to go crazy to enliven your home with Living Coral. Introduce a vase or two, or maybe purchase a one-of-a-kind set of ceramic coral mugs. If your kitchen is teeming with mundane white accents, top your tables with salmon-colored dishware, linen napkins and more. Brass accents seem to be all the rage these days, but diversify your design with whimsical coral lamps, pottery, even coffee table books—the list goes on. Make 2019 the year you make a statement. So if you’ve thought about purchasing a velvet couch (because, well, who hasn’t), make it coral. 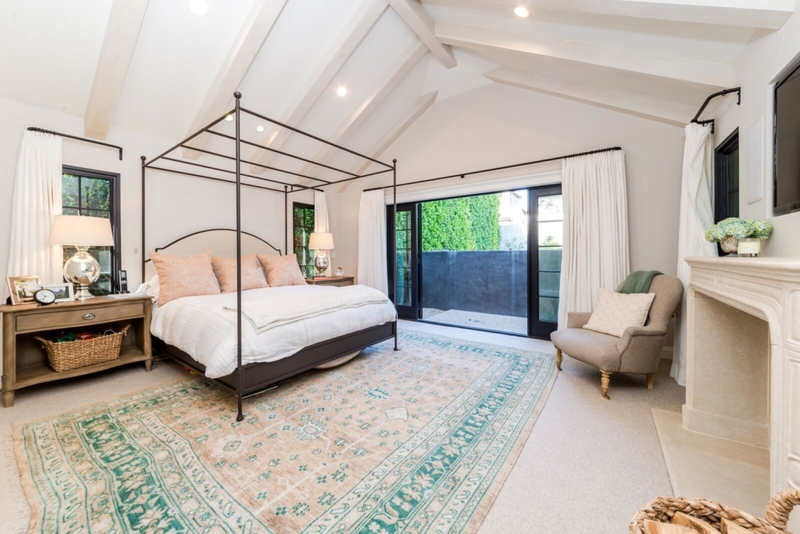 Rugs are one of the easiest ways to integrate colors into a space. Not only does salmon create a happy-go-lucky vibe, but it also pairs well with other hues (like turquoise, per the image below). There’s always that one room in our homes that we want to redo, right? Go wild and bring in some vivid Living Coral furnishings. It pairs perfectly with wood tones, marble, neutrals and more.